In the title story, the competition between two middle school cellists is affected by a shooting at their school, and it is only years later that they realize how the intrusion of violence affected the course of their lives. In "This Is Who You Are," a young girl walks the line between Hebrew school and her regular school, realizing that both are filled with unexpected moments of insight and violence. In "Three Interviews," an aging reporter must contend with her dwindling sense of self and resources, beleaguered by unemployment, which sets her on a path to three increasingly unhinged job interviews. In "Mrs. America," a candidate for local office must confront a host of forces that threaten to undermine her campaign and expose her own role in the dissonance between what America is and what it should be. 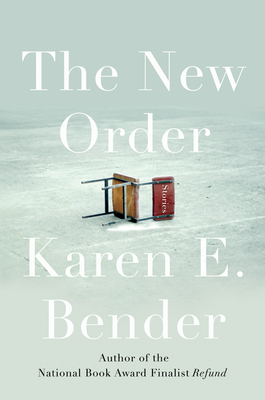 KAREN E. BENDER is the author of Refund, a finalist for the National Book Award for fiction, short-listed for the Frank O'Connor International Short Story Award, and long-listed for the Story Prize. She is also the author of the novels Like Normal People and A Town of Empty Rooms. She is the Visiting Distinguished Professor of Creative Writing at Hollins University.